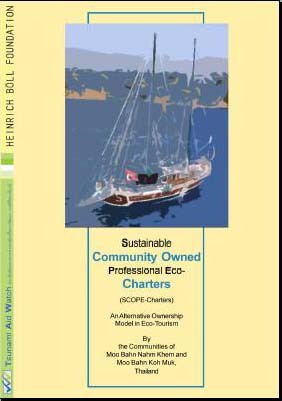 SCOPE Charters: Sustainable Community Owned Professional Eco Charters. Edited by TAW, Chiang Mai, October 2006. 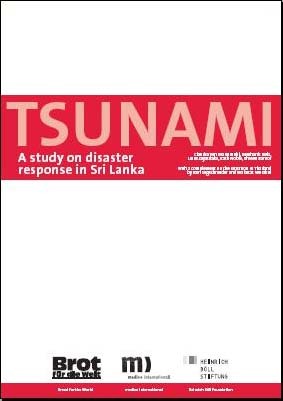 TSUNAMI: A study on disaster response in Sri Lanka. 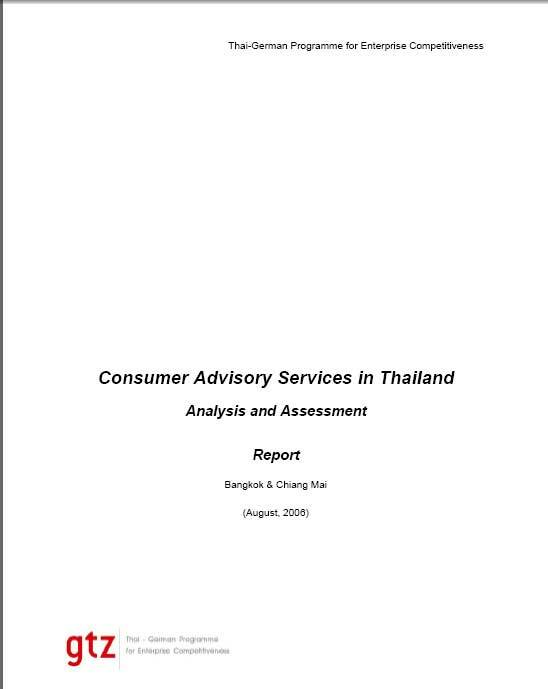 Analysis and status quo assessment on consumer advisory services in Thailand Report. By SEA-C.R. Mr. Karl H. Segschneider With: Mr. Romlee Maeroh, Mrs. Julia Heyl Mrs.Phanitisiree Jaisabai .Bangkok and Chiang Mai July 2006.